After several years of trying I finally got the timing correct for a fall broccoli harvest. Wednesday I harvested the first head of Arcadia – the solid one pounder in the photo. The remainder of the plants are starting to head up and will be harvested over the next couple weeks. I’m also amazed at the size and quantity of the side shoots from my spring planting. The bag contains a full pound. Most of the side shoots are from 4 Coronado Crown plants. In the past I’ve grown Premium Crop. It is a steady producer of side shoots but by mid-October its shoots are quite wispy. These Coronado Crown shoots are substantial. The Bay Meadows shoots are smaller than Coronado Crown, but still bigger than most Premium Crop shoots. The shoot size matches the size of the plants. The Bay Meadows plants are petite while the Coronado Crown plants are twice their size. Fall cleanup at Vassar Farm. Behind me, on the left, Coronado Crown broccoli, on the right Bay Meadows. I started the Arcadia seed June 9 and grew the seedlings under lights in my basement. On July 21, immediately after removing the Sugar Snap Peas, I transplanted the Arcadia broccoli into my community garden plot at Vassar Farm . 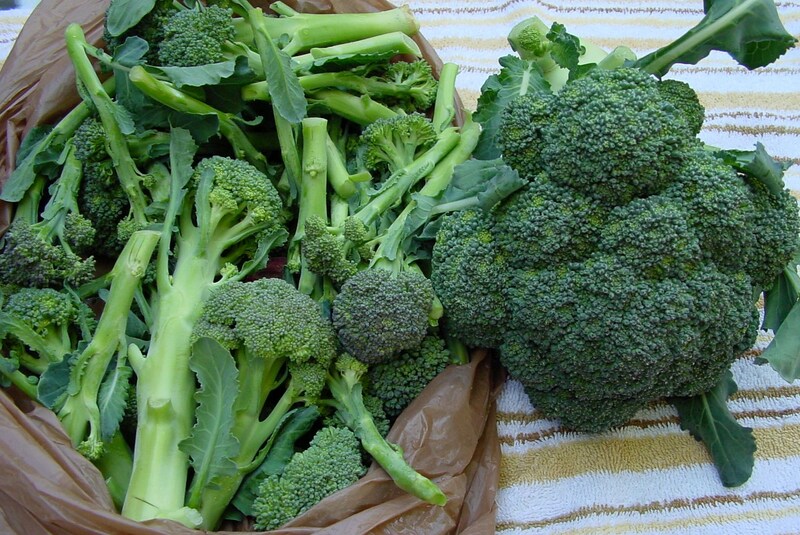 Area nurseries typically starting selling broccoli and cabbage seedlings around Aug. 7 and in my garden only one plant in 4 would actually produce a usable crop. My results show planting two weeks earlier is better. I covered the plants with a tulle row cover to protect against cabbage worms. The cover wore out & was removed after two months (because it was used previously for the spring cabbages.) Since then I’ve sprayed with Bt. roughly every two weeks. 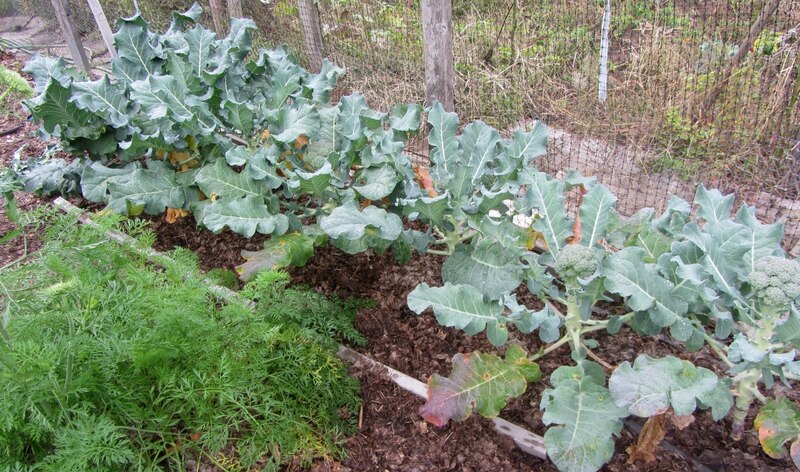 Arcadia broccoli plants heading up on Oct. 18. Foreground: Bolero carrots. One of the carrots bolted; its flower is on the left edge. I froze that head of Arcadia. While preparing it, I noticed it is very tender, much more than the side shoots of the other varieties. I also sampled the blanched broccoli. It tastes like … broccoli. I guess I’m not a broccoli connoisseur. another 1 pound bag of broccoli side shoots. 4 Yaya carrots totaling 3 pounds. all the peppers in my garden, in anticipation of frost, working out to approximately 2 gallon freezer bags full of chopped green peppers, plus a big bag of ripe and almost ripe peppers to eat fresh. a couple colanders full of cherry, plum and beefsteak tomatoes. 2 cups of hardy kiwis. This is a piddling harvest considering the amount of work required to prune the vines every year. Update: despite a freeze warning for early this morning, the temperature was 35 degrees F. 7AM and it looks like the tomatoes and coleus survived. So I’ll have vine ripened cherry tomatoes for another week, plus samples of the tomato diseases septoria and early blight for the Master Gardener Vegetable Gardening class I teach Wednesday. Step by step, a little each day, one can often accomplish a goal that would be otherwise impossible. My trusty steed: a 2001 Tour Easy by Easy Racers. 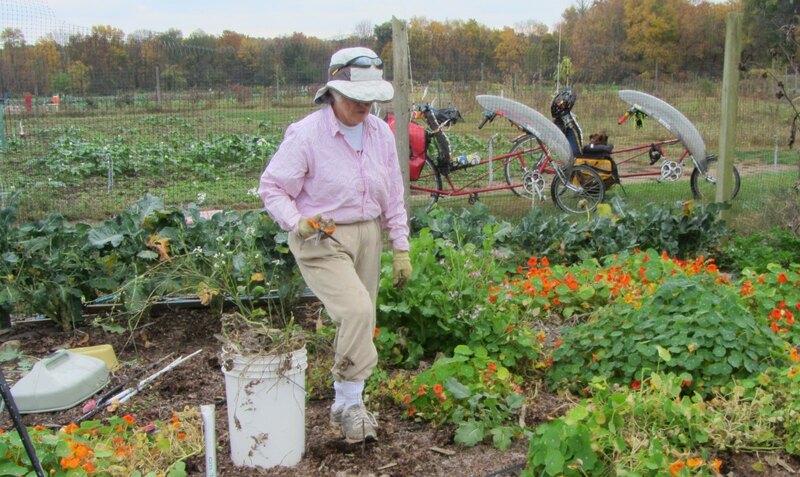 The panniers haul garden harvest: often 10-25 pounds of vegetables (this week sweet potatoes). Overall – 1,511 miles over 109 days May 1 – Sept 30, 2014 ending rank #3,406. My highest weekly total was 120 miles and my longest ride was 47.5 miles, both records achieved in 3 days the last week of July. The last week of September my odometer recorded 20,000 miles! I happened to glance that way and saw all 5 digits change in a blink. 20,000 miles is roughly 10 years of riding. I’ve been riding this bike since very late 2001 and it has around 26,000 miles on it. Unfortunately the first time my husband replaced the battery in the odometer, he accidentally reset the total miles. I have a yearly goal of biking 2,000 miles. I’m currently at 1,936 miles, much closer to the goal than usual for Oct. 1. My husband Ed rode 2,290 miles. 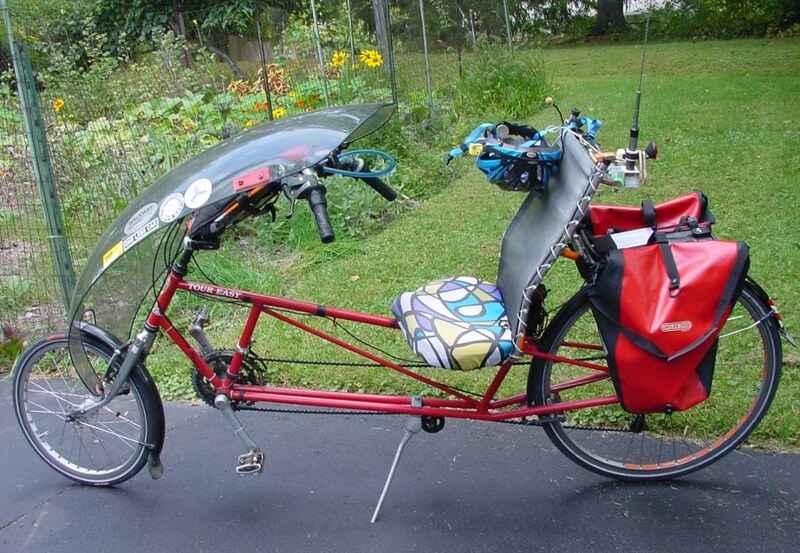 We often ride together, for groceries, across the river for U-pick apples, etc., but there are many days when I’ll bike to my community garden plot and he takes a long ride while I play in the dirt. We’ve driven the car 1,537 miles since buying it in mid-May so we’ve biked far more than we’ve driven. My father, who is 84, participated in the Challenge until the end of August when he broke a collarbone in a fall. Dad rode 1,120 miles in 73 days and ranks #6522. Dad is in the top 14% of riders even though he couldn’t bike a single mile in September!